QMS is a SAP consulting services provider focused on the manufacturing sector. As the industry leader in Quality Management, our practical industry experience and expert SAP skills can be leveraged to assist with SAP business and IT consulting, SAP application, project and staffing services, training, SAP staffing services, custom development and more to help you achieve your business goals. Our laser focus is on Quality. As a result, QMS has earned a global reputation for quality leadership, resources, and delivery. We are the preeminent quality experts, with decades of combined industry and business experience. QMS is dedicated to developing advanced solutions for SAP manufacturing environments and bringing those results to our customers in affordable and innovative ways. Our number one priority is to partner with our customers to make meaningful impacts on their businesses, enabling you to achieve your business objectives. 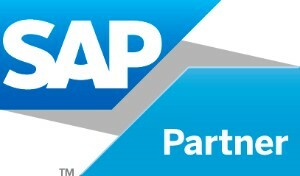 Our Mission is to set a new standard of excellence for SAP Consulting worldwide. Our Commitment to you: Quality Management Solutions, Inc. (QMS) was named to signify a commitment to quality that distinguishes us from any other SAP consulting firm. All of the solutions that we build and the work that we perform is delivered with a level of quality that we are willing to put our name behind. Our approach is to partner with you to understand and document your business requirements and develop solutions based on standard SAP ERP to meet your requirements. We believe that functionality available in SAP will allow you to implement a set of standard quality business processes that take advantage of the integrated SAP processes. As SAP says, “The Best-Run Businesses Run SAP”. One look at the Fortune 100 today would prove this point. QMS is focused on Manufacturing and Quality in the Life Science Industry (Medical Devices and Pharmaceutical Manufacturing), Food and CPG, and Discrete Manufacturing and the High Tech industry. We also have experience in the Scientific Instruments, Biotechnology and Biopharmaceuticals space, Equipment Manufacturers, Chemical Companies as well as Automotive, A&D and Utilities. We have used our deep experience to develop “Solution Set” offerings of “Best Practices” for the implementation of SAP for a wide variety of applications and systems.